Continuing on my journey into the culinary world, I am still perfecting my technique on classic recipes. 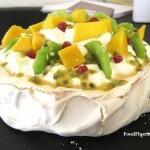 Today I am tackling one of Australia / New Zealand’s classic desserts ~ a summer fruit pavlova. Lived in Australia for a full four years and I must admit I have never had a ‘pav’. NEVER. But I live with an Aussie now and he’s been pushing me, for well over 2 weeks, to make one. So here it is. 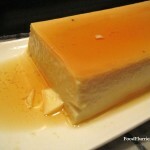 Today I am making an ex-flatmate’s favourite … Creme Caramel. He loved this very much and always pestered me to make some when we were living together back in Melbourne. Sadly, I don’t think I ever did. 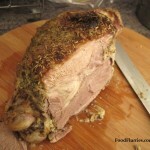 Well here’s me shedding the guilt and dedicating this recipe to J.C back in Melbourne ~ sorry it took so long.